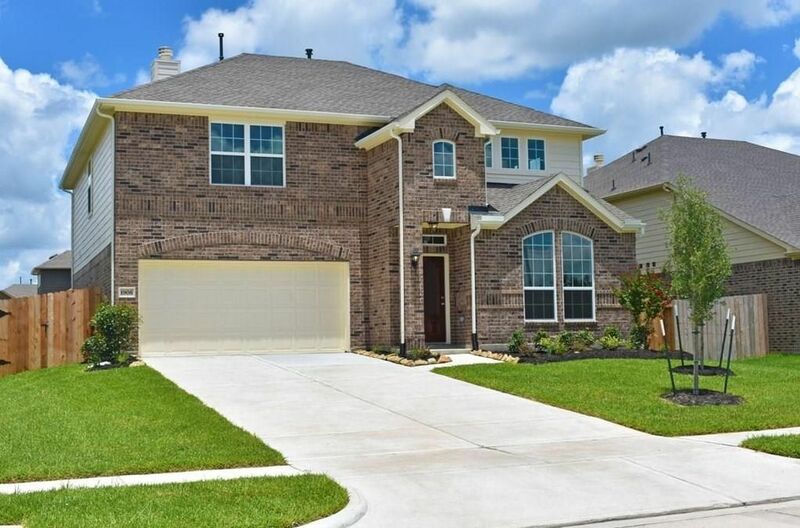 4 Beds 3 Baths 1 Partial Bath 2,593 Sq. ft.
2 Story, 4 Bedroom, 2 1/2 Bath, Study, Gameroom, Dual Vanities, Separate Garden Tub and Shower, Tile in all Wet Areas, Granite Kitchen Countertops, 42" Upper Kitchen Cabinets, Kitchen Island, Stainless Steel Appliances with Microwave, Upgraded Lighting and Trim Packages with Crown Moulding, Wrought Iron Spindles, Fireplace, Covered Patio, Irrigation System, Sod in Back Yard, Brick Back, Tech Shield Roof, Environments for Living Home, plus more!AVAILABLE MARCH. Directions: From Highway 59 South take the Richmond/Rosenberg Exit 762, take a left at 762, right at FM 2977/Minonite Road, turn left into Walnut Creek community (Irby Cobb Blvd. ), stay on Irby Cobb. Model is located at 7319 Irby Cobb Blvd.